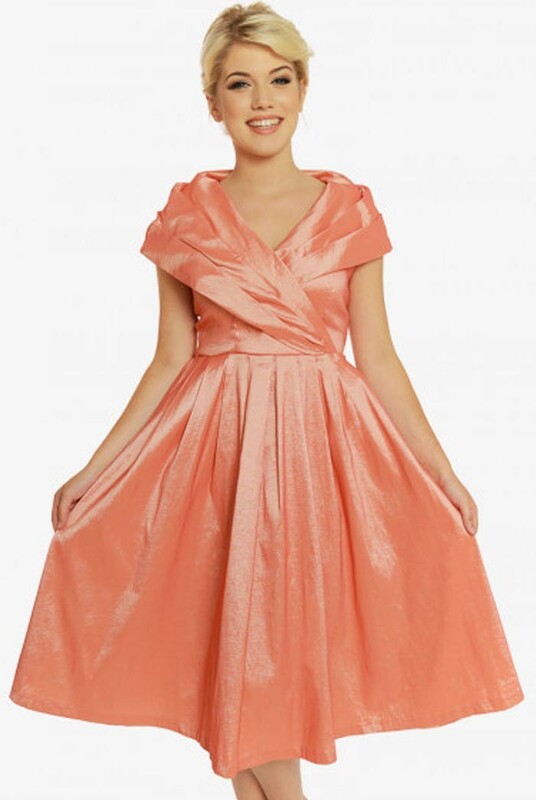 This peach coloured party prom dress is made from a pearlescent taffeta fabric, has layered folds around the neckline and wrap-around waist detailing. It has a lined bodice and comes with in seam pockets. It fastens with a concealed side zip and measures 44.5inches in length.